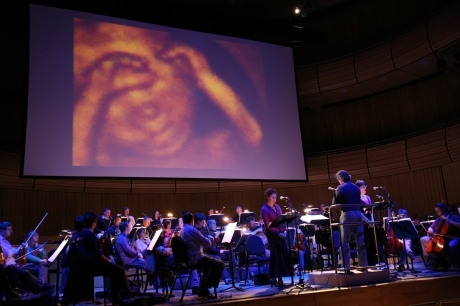 AV Festival 06 and The Sage Gateshead presented a new specially commissioned concert by one of the world’s finest composers, Michael Nyman. A prolific composer, it is through film that Nyman’s work has reached its largest audience. He is famous for the score to Jane Campion’s The Piano, and his collaborations on the films of Peter Greenaway. In 1997 Nyman composed the music for Andrew Niccol’s film Gattaca, an experience that deepened Nyman’s personal interest in bioscience and eugenics. Nyman has also worked with these concepts in other scores, culminating in the creation of an opera, Facing Goya, which takes as its premise the cloning of the great Spanish artist from genetic data in his skull. For AV Festival 06, Nyman created a major new concert with the Northern Sinfonia and guests: David Lockington, Conductor; Hilary Summers, Contralto; and Sarah Leonard, Soprano. 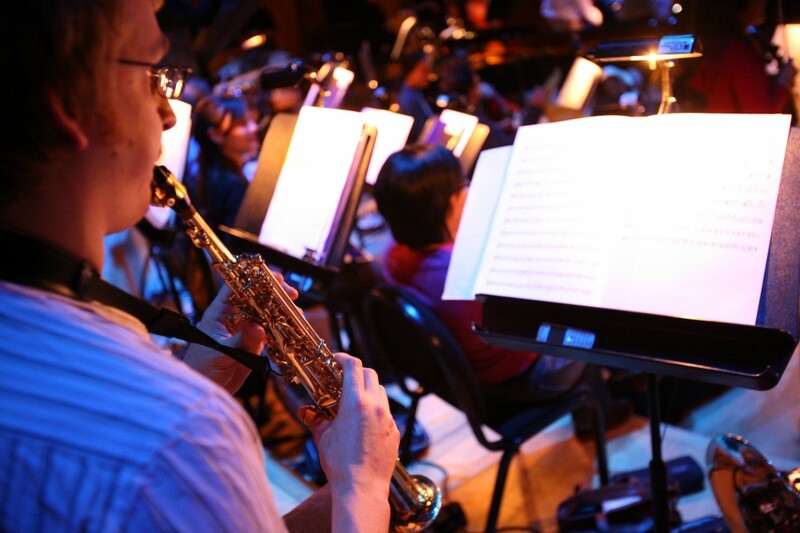 The concert explored the way that biotechnology and cloning are changing our visions of life and art, and drew on Nyman’s scores of both Gattaca and Facing Goya, as well as his score for Jean Vigo’s 1930 short film A Propos de Nice. The concert also marked Nyman’s first foray into visual art, with his own images of human life transformed into video by the group, YEAST. The event included an exclusive pre-concert on-stage interview with Michael Nyman by bio-ethicist Dr Tom Shakespeare. 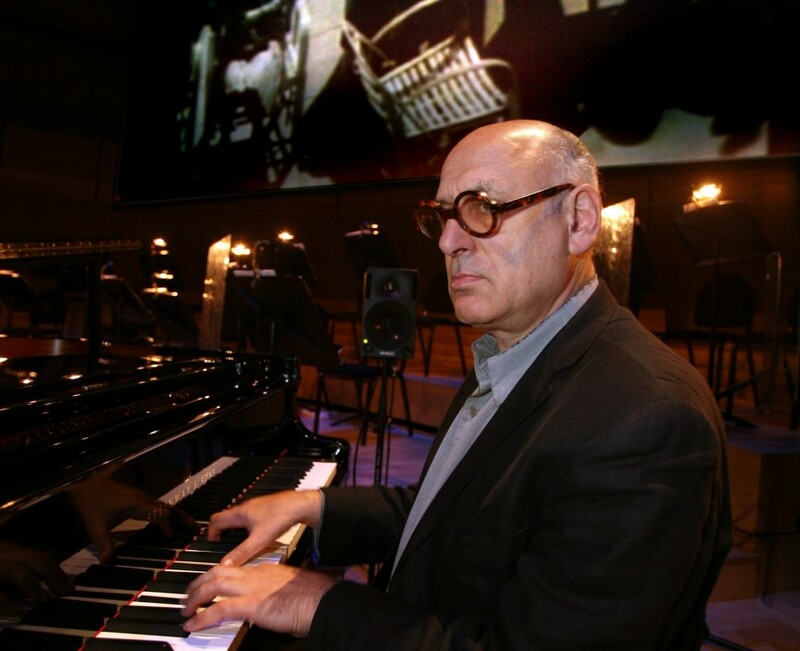 Michael Nyman is a minimalist composer, pianist, librettist and musicologist, and one of Britain’s most celebrated composers. Nyman has written music for the Michael Nyman Band, symphony orchestras, string quartets, and the stage. The signatures of his work include not only his use of propulsive repetition, but also a palette of idiosyncratic instrumental touches. In 1974, he wrote the influential book Experimental Music -- Cage and Beyond, an exploration of the influence of John Cage on a generation of composers and performers. He is generally acknowledged to have been the first to apply the term ‘minimalism’ to music, in a 1968 article in The Spectator magazine about the English composer Cornelius Cardew. Commissioned by AV Festival 06. 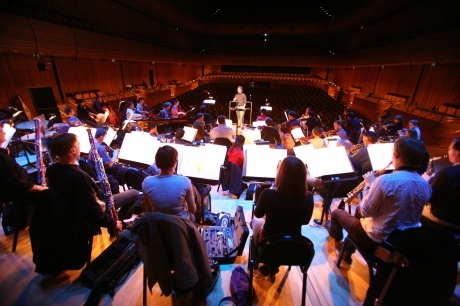 Co-produced by AV Festival 06 and The Sage Gateshead. World Premiere.